Red, White & Blue will fill Club Kids this week as we celebrate the 4th of July Independence Day! Mom and Dad can come to the gym for an “independent”/child free workout and bring the little ones to Club Kids for lots of fun! We will be making crafts like fireworks, flags & hand-print eagles, as well as 4th of July workouts, including fire crackers, jumping jacks & flag relays. We hope to see you all this week! These are just a few of the cool crafts that Club Kids will be making this week as we explore OCEAN LIFE. There will also be neat books about ocean animals, water play with toy fish, more crafts and some super fun ocean themed workouts like shark bites, turtle races and dolphin jumps. Please SWIM on by for a fun filled week! What would you do on a day at the beach? Build a sand castle? Collect sea shells? Play ball? Relax? 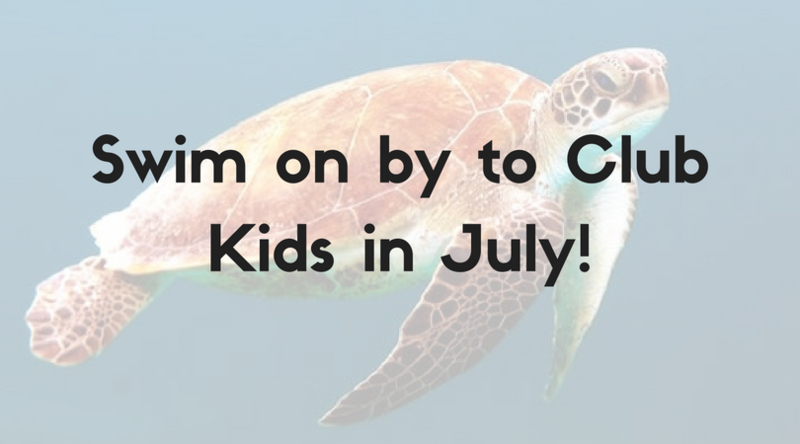 This week Club Kids is taking a trip to the beach! Bring the kids by for sand sensory play, beached themed exercises, crafts like seashells, beach balls, & more. The kids can have a beach time blast while Mom & Dad have a relaxing massage or workout! Club kids is “under construction” this week! The kids will get to hammer “nails”, listen to books about construction equipment, and do workouts & crafts like diggers & digging, tool belts & the fill your tool belt race, brick painting & tower building challenge. All this, along with a lot more fun times to be had! Don’t be fooled by the sign, we are open for fun while “under construction”. Howdy Partners! YEE-HAW! Wrangle up the kiddos this week and bring them by Club Kids for a fun filled week of the WILD WILD WEST! The young’un’s can make crafts like cactus, cowboy boots & horse shoes, play in the sand, and do pint sized exercises like the lasso and the cowboy walk races. I reckon y’all will have a fine time! Can't wait to see you all here in July!